TUESDAY, March 1, 2016 (HealthDay News) -- Researchers say they've pinpointed the first gene linked with gray hair. They said the discovery, culled from a genetic analysis of more than 6,000 people of mixed ancestry in Latin America, proves that genes play a role in graying hair. "We already know several genes involved in balding and hair color, but this is the first time a gene for graying has been identified in humans, as well as other genes influencing hair shape and density," said study author Kaustubh Adhikari, from University College London, in England. "It was only possible because we analyzed a diverse melting pot of people, which hasn't been done before on this scale. These findings have potential forensic and cosmetic applications as we increase our knowledge on how genes influence the way we look," he said in a college news release. The gene linked with gray hair is called IRF4. 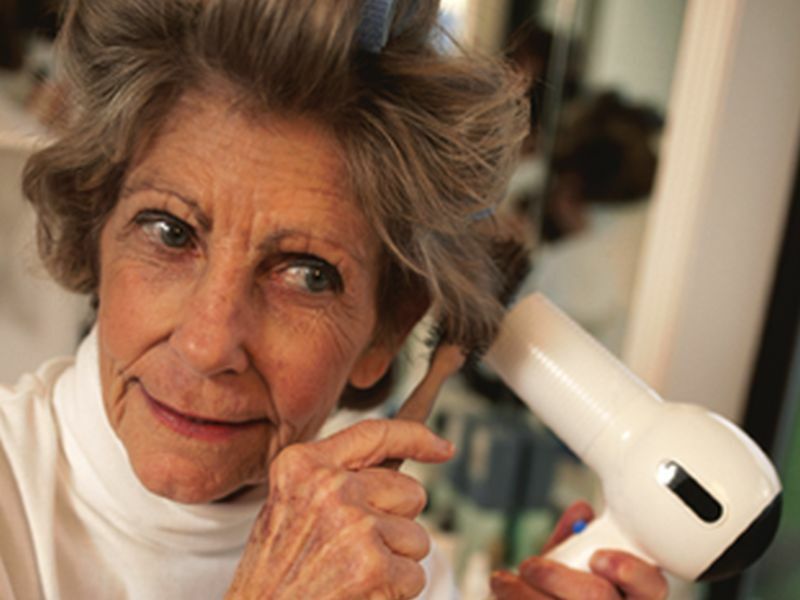 The international team of researchers said it was known to play a role in hair color, but this is the first time it has been connected with the graying of hair. Along with possibly helping find ways to delay hair graying, the gene might improve understanding of aging, the researchers said. The researchers also found that another gene called PRSS53 seems to influence hair curliness. "It has long been speculated that hair features could have been influenced by some form of selection, such as natural or sexual selection, and we found statistical evidence in the genome supporting that view," Adhikari said. "The genes we have identified are unlikely to work in isolation to cause graying or straight hair, or thick eyebrows, but have a role to play along with many other factors yet to be identified," he said. The study was published March 1 in the journal Nature Communications.